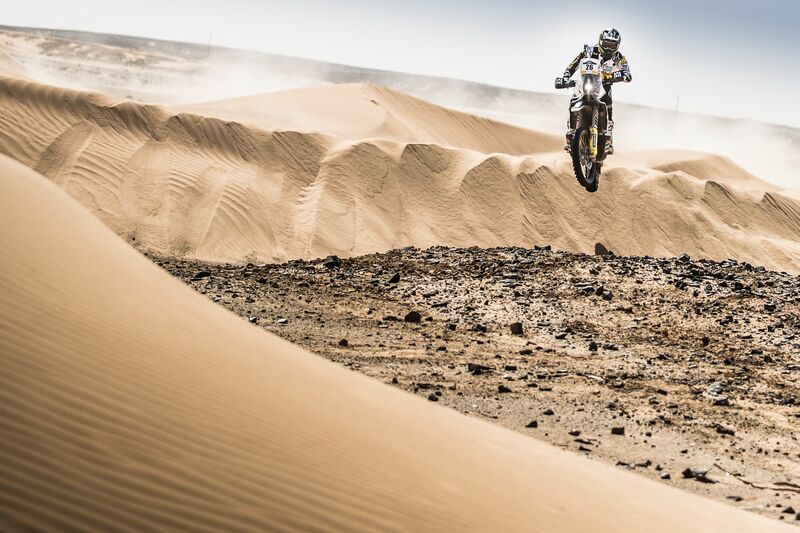 Following a strong and well-calculated performance on the first long rally stage of the 2018 Merzouga Rally, Rockstar Energy Husqvarna Factory Racing’s Pablo Quintanilla has posted the fourth fastest time in stage one of the event. Putting himself in an advantageous position for Tuesday’s stage two, the Chilean rally star has his eyes set on climbing even higher in the rally’s provisional overall standings. Living up to everyone’s expectations, stage one of this year’s Merzouga Rally included some tricky navigation in the dunes of Morocco. Making full use of his vast experience reigning Cross-Country Rallies World Champion Quintanilla remained calm and collective throughout the 206km-long special stage. Securing third on stage one, the FR 450 Rally powered rider has earned a good starting position for Tuesday’s stage two. For Rockstar Energy Husqvarna Factory Racing’s Andrew Short, stage one of the Merzouga Rally has been a big learning experience. Faced with the demanding task of opening the tracks for a considerable part of the timed special, the American brought his Husqvarna home in 10th position. Continuing to learn and make progress, Short is looking forward to the remaining four stages of the rally in the dunes of Morocco. Stage two of the 2018 Merzouga Rally features a timed special of 175km that merges faster tracks with some tough dune sections. Made up of two loops in the northern and southern part of Merzouga, it is expected to be a physically demanding stage.